Built as a survival bag for America's elite special operations forces, the SO TECH Go Bag is cylindrically shaped for easy access and extraction from a downed aircraft or burning Humvee. The only thing worse than getting shot out of the sky or hit by an IED is knowing that you now have to get your kit and get the hell out of the area. Our Go-Bag was designed for Helicopter crews and Humvee personnel, so that in the event of a crisis, they could grab the bag on the way out of the vehicle. 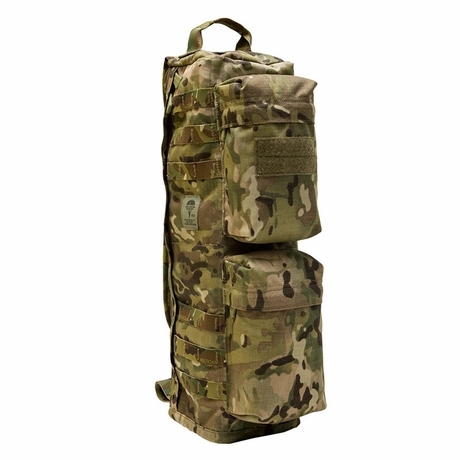 It fits perfectly in the spaces that exist in a Helicopter or Humvee, which are too small for a ruck, but could be a great storage site for an E & E bag. The options for this bag are endless. 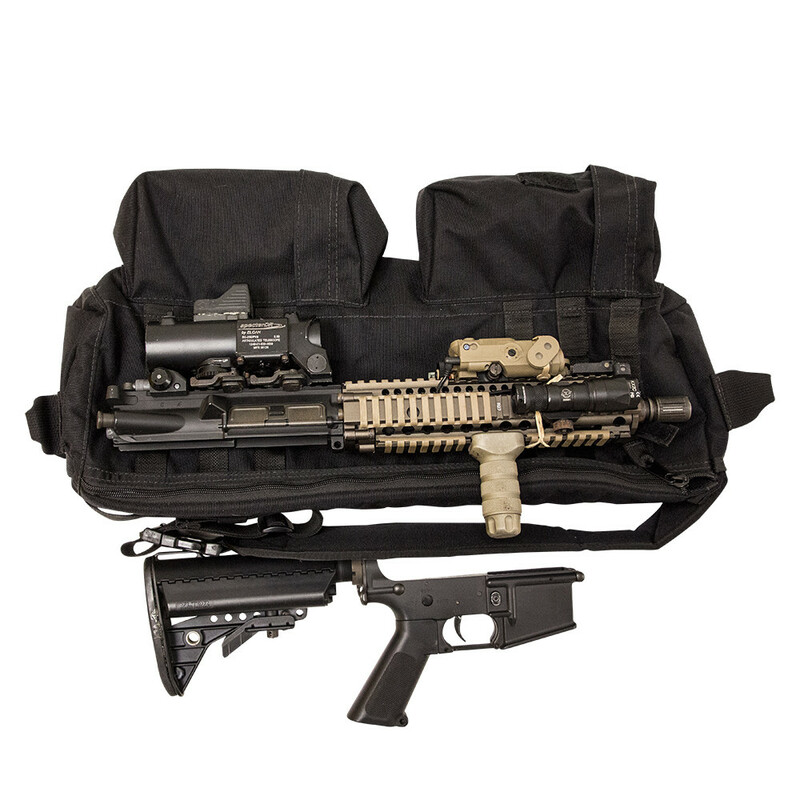 The Medics fit a roll-up stretcher in it, the Spec Op shooters use it for E & E kits, and when you're not shooting and moving, it's a great Bail-Out-Bag for your car, home or gym. The tubular design gives a civilian look and masks large devices. Extended version is 3" longer and can be used as a concealed device bag. 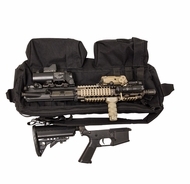 This extended version of the Go-Bag was designed as a covert carry option for the shooters who need a device close by, while still being low profile. This is the perfect system for 17.5" devices and the upper and lower components of a similar dev ice. This is perfect for contractor work where the principal understands the need for such devices, but the situation dictates a low profile signature. The outside has two pouches where you can store and assortment of mission related items. The inside has room for a Cordura® covered foam divider, the SO TECH Go Bag Insert (SGBI), sold separately - for a broken down device, or any other kit your mission dictates. NOTE: Coyote color is now the same as Tan 499, a slightly more gray color that is made to better blend with Multicam.